On the way to your summer destination that takes you North through Sussex County on Rt. 206, there’s a tiny, old-time borough called Branchville, a bit above Newton and Rt. 80. Just one-half square mile large, it is packed with history, old buildings, new business and interesting people, and where contemporary meets traditional. 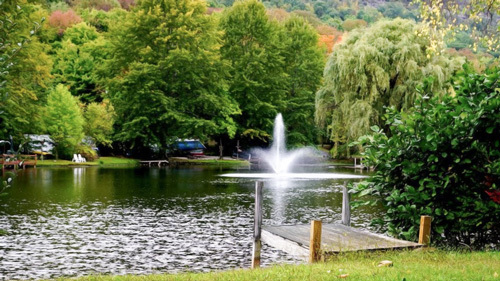 Surrounded by mountains and glacial lakes, farms, wineries, campgrounds, state parks and forests, Branchville and its nearby country pleasures are worth a visit. The side roads are fraught with things to do, sights to see, and food for thought and tummy. Going camping or to a cabin on a lake? Why not start your trip a day early? With a little planning, you’ll be glad you did. From Rt. 206 N, take a right onto Plains Road and stop at the Farmers Market located on the Sussex County Farm and Horse Show Fairgrounds on Saturdays from 9 to 2. Local farmers sell their just-picked fruit and vegetables (great for grilling) and just-baked goodies plus locally grown and woven, exquisitely soft alpaca socks to keep your feet warm on cool nights. The Fairgrounds booms with festivals and other events during the summer, including the New Jersey State Fair that runs August 4th through 13th. The fair, once known as the Sussex County Farm and Horse Show, originated in Branchville in 1940 and remained there until 1979. A half mile or so up Rt. 206 on the left in the parking lot of Our Lady Queen of Peace Church, a happening flea market and craft fair is worth a look-see the last Saturday of every month thru October from 8 to 3. 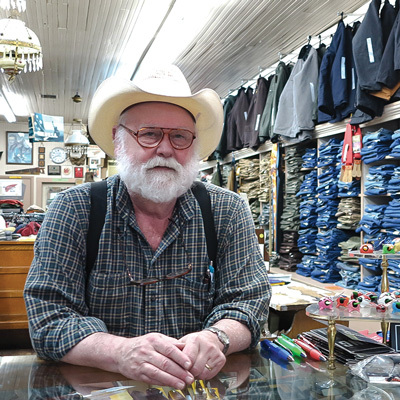 Locals sell their eclectic wares gathered from old farms and other discoveries. 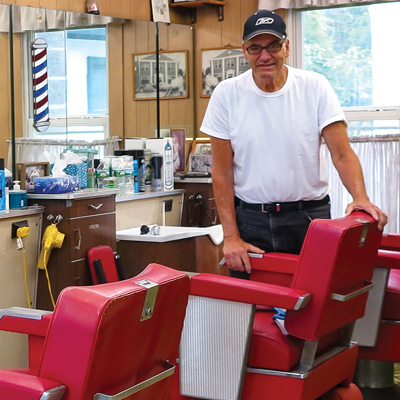 Johnny’s Barber Shop is an old-fashioned barbershop that opened over 100 years ago. Joe Accetta, who bought the business in 1962, keeps it that way and gears it to the male of the species, though he will cut a lady’s bangs. Don’t call. There’s no phone. Just drop in to say hi Tuesday thru Saturday and get a good cut for $13. The Sussex Branch Trail, a Rail-to-Trail multi-use path, appears to secretly end in Branchville. If you want to go for a short, easy and beautiful walk or bike ride in Nature, this is the place to go. The 1.3-mile (one way) path begins on Mill Street. From Rt. 206N turn right into town and soon make a left onto Mill Street. Just before a metal bridge, look for a narrow dirt footpath that leads into the woods on the left. The path runs alongside Dry Brook, crosses the highway and continues south to Augusta Hill Road where you get a nice view of the Paulins Kill. The trail was built in the late 1840s as the narrow gauge, mule-drawn Sussex Mine Railroad to haul iron ore on the Morris Canal from Andover mines to Waterloo Village. Completed in 1869, it was abandoned a century later. 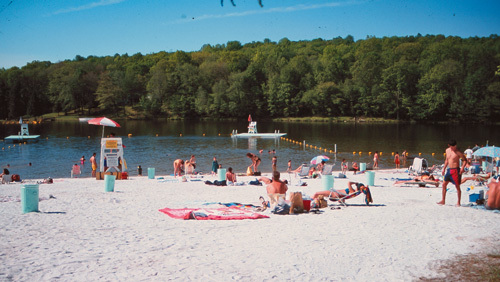 The 18-mile trail starts in Allamuchy Mountain State Park and ends in Branchville. On this stretch you’ll walk along a stream, and pass homes and backyards and walk under sun and shade adorned by wild flowers. Take the kids. The bright décor at Riviera Maya, promises an exciting meal. 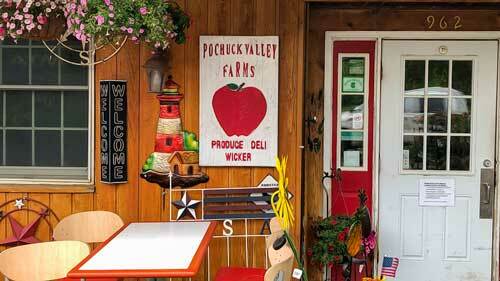 Heading North from Branchville, there are eateries galore. One is Riviera Maya, with real Mexican food owned by Jesus Morales and his wife Martha from Juodalajora, Jalisco, Mexico. There the food is made from scratch every day and authentic dishes are frequently added to the menu. 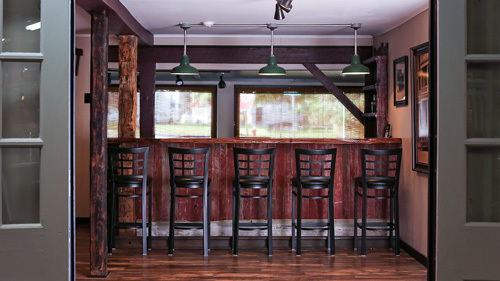 Their success has led to opening another full-service and two quick-serve restaurants. 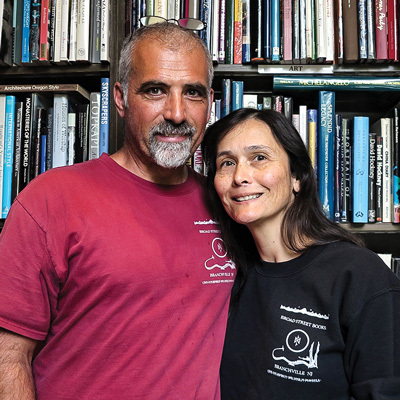 This year the Moraleses celebrate their tenth anniversary in Sussex County. “I love that our customer base is local,” says Jesus. “We’ve grown. 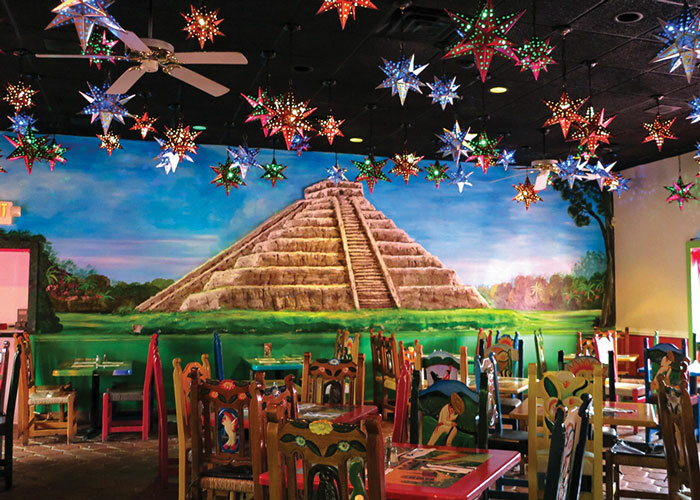 We’d like to thank all of our customers.” Stop in here for really yummy food and mariachi on Thursdays. Drive off that lunch and turn right alongside Dale’s Market onto East Shore Culver Road for a spin around Culver Lake. Although the lake is private, a public golf course, restaurant and bar is open and with a tranquil view. The drive eventually borders Stokes State Forest, where there are trails galore to enjoy. To check them out or just drive to Sunrise Mountain, turn right as the road bends sharply to the left. Or, if coming from Rt. 206N, turn right onto Upper North Shore Road, then left onto narrow Sunrise Mountain Road. 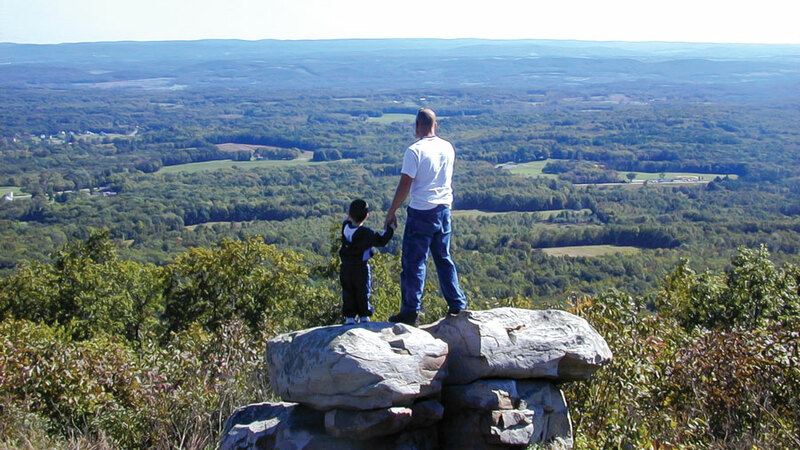 To walk the Appalachian Trail (AT), an Historic National Scenic Trail, park in the Culver’s Gap Parking Lot and catch the trail there or, for a short walk through ferns, sunny grasses, rock outcrops and wondrous views of Culver Lake and the Pocono Plateau, walk across Rt. 206 and take the one-mile, gold & brown-blazed Acropolis Trail uphill to the AT that seems a world away. Or, continue on Sunrise Mountain Road till you bear right to a parking lot. A gravel path under red oak and hickory trees leads up stone slab and rock steps to great views of the landscape below. Walk a bit of the AT here. Picnic tables are here and also at a viewpoint overlooking the Delaware River Valley and Pennsylvania on the road below. Otherwise, between parking lot and mountaintop, four blazed trails are yours for the walking. A short trek on the steep, green-blazed Tower Trail to the right will take you to the Culvers Lookout Tower for excellent views. Or simply ride through the forest to Rt. 206 for a taste of serenity. Wild flowers bloom on the roadsides and lady fern covers the ground. Stokes State Forest has much more to offer, including camping so you can do it all. If birding is your thing, go to the 2,906-acre Bear Swamp Wildlife Management Area across the highway from Branchville. It includes Lake Owassa Bear Swamp Natural Heritage Priority Site, so designated for its rare wetland community and imperiled species of birds and plants. It is also part of the Delaware Valley Water Gap Macrosite Important Bird and Biodiversity Area. According to the NJDEP, Fish and Wildlife, “The globally significant Bear Swamp WMA is part of the Kittatinny Forest and provides breeding habitat for bobcats and several raptor species including state-endangered Bald Eagles, Red-shouldered Hawks and Northern Goshawks, state-threatened Barred Owls and state-special concern Sharp-shinned Hawks and Broad-winged Hawks.” As always, check for ticks. 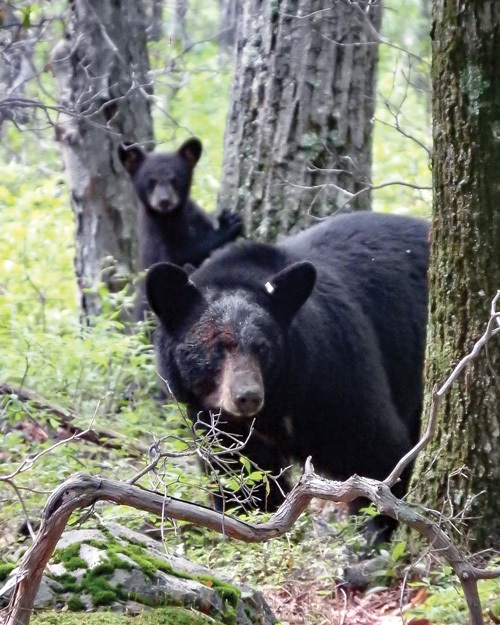 The NJDEP advises this is bear habitat so review the rules for bear etiquette, visit on Sundays when there is no hunting, and bring a compass or GPS as trails are unmarked. Directions: 973-383-0918. No matter where you’re heading northbound, take some time to visit Branchville Borough and its surrounding natural and cultural gems. You’ll be glad you slowed down for discovery with a step back in time or a walk on a pretty country path or experiencing a very modern distillery and interesting book store. Smell the flowers.